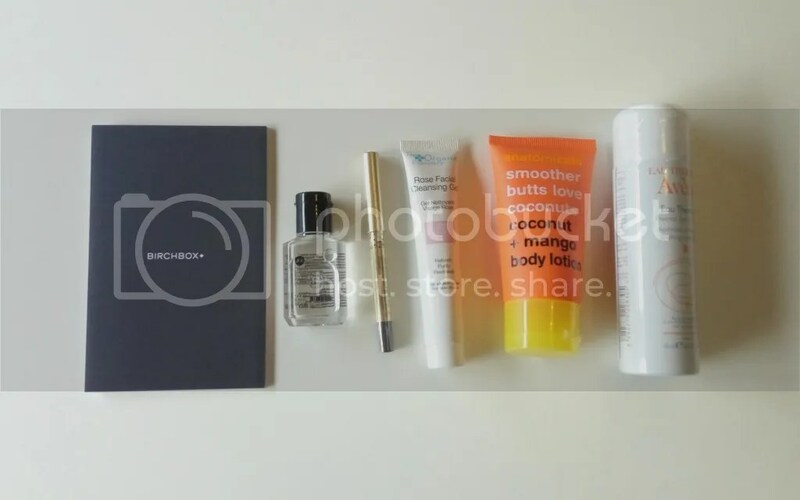 Wow this is fast – it’s time again for another Birchbox reveal! I was shocked when the postman came with another box – I didn’t think it would be so quick but I was super excited. This month’s box came in an actual small box, which I’m grateful for because I love getting small boxes so that I can use them to arrange my cupboards. Let’s see what’s in the box! This month’s theme is “A La Belle Etoile”, which I think translates to “under the beautiful star” or something like that. Birchbox France costs €13 a month, with free postage to the regular Relay Point; I paid an extra €2 to have it delivered to my door. This is some kind of hair oil – this will be very useful as I don’t have any good hair care products at the moment and my hair is becoming really dry and brittle with the hard water in Belgium (especially with my numerous piping hot baths but feels too good to stop). This is in a very dark brown shade. I haven’t fully tested it yet but it glides on super smoothly. The price is on the high side so we’ll see if it’s worth its price tag! Wow this is a really expensive product! I think it comes at a nice time because I’m running out of face wash so this will be useful very soon. This smells really nice! It reminds me of some dessert actually. I don’t usually enjoy getting body lotions in beauty boxes because there’s always at least 1 body lotion, but this I don’t mind because it really smells delicious and would be something that I’d use. I’ve used this before and honestly I am not impressed. It feels just like spraying normal water on my face – but I have to say that Avene has one of the best spray nozzles that I know of; this gives the perfect radius of mist every time that is not too intense and in your face. It’s nice to have on a hot day, but it’s not something that I will repurchase. This month’s box also came with a €10 voucher for purchase above €30 but there are just too many limitations on it that I think it’s useful at all. All in all, I think this month’s box is pretty nice – I’m not blown away by it, but I think it’s pretty well worth what I’ve paid for. What do you think?